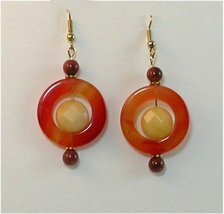 Home » JAVAHER's booth » Chalcedony agate and Jade Earrings. Chalcedony agate and Jade Earrings. Chalcedony agate Earring with faceted yellow Australian Jade and Sun sitara Gemstone. Jade is a symbol of serenity and purity. It signifies wisdom gathered in tranquility. It increases love and nurturing. A protective stone, Jade keeps the wearer from harm and brings harmony. Jade attracts good luck and friendship. 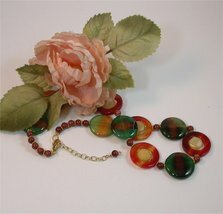 * Check my listing for matching necklace.